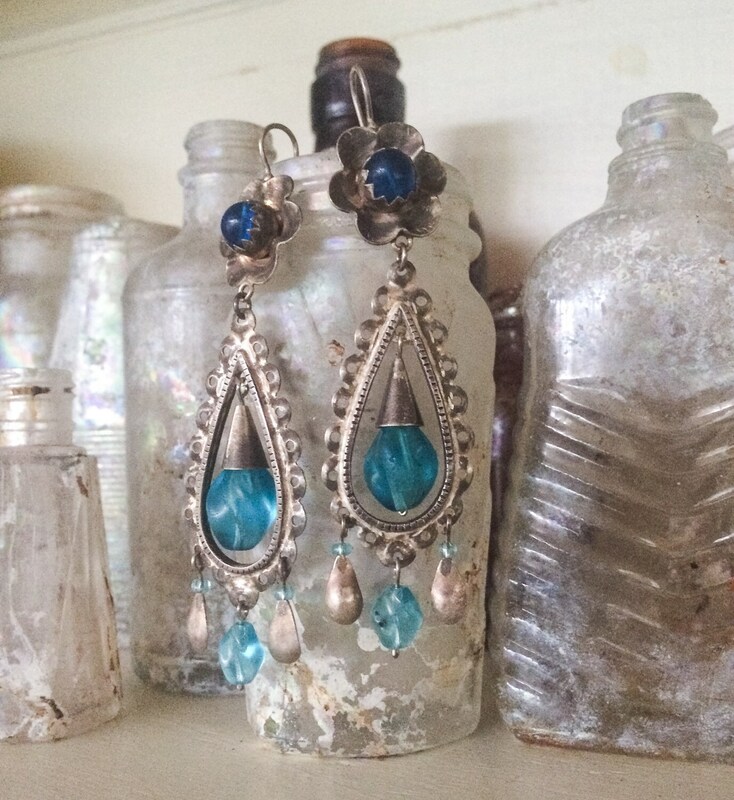 These beautiful antique earrings hail from early to mid 20th Century Ecuador and feature 900 silver and turquoise-colored glass trade beads brought over from Europe. 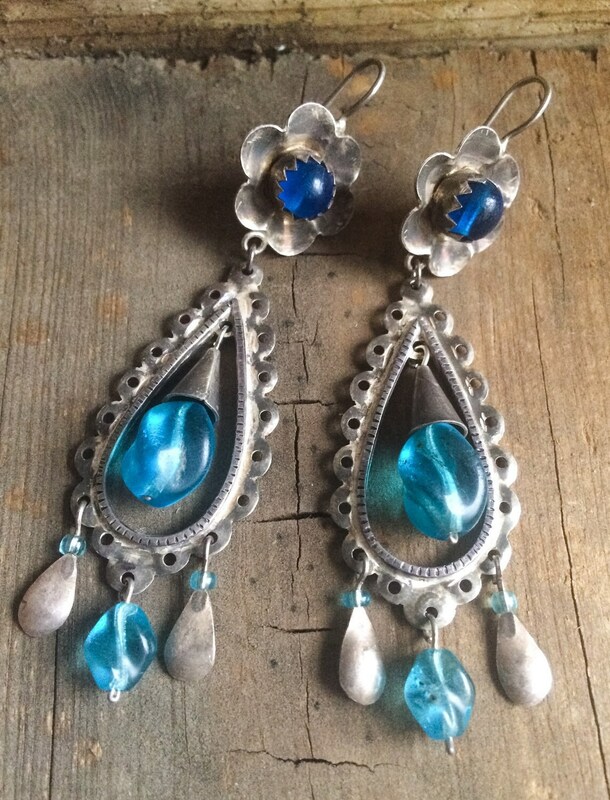 The silver work is reminiscent of Spanish Colonial times. A simple flower, and from it hangs a large teardrop, and from that three small drops. 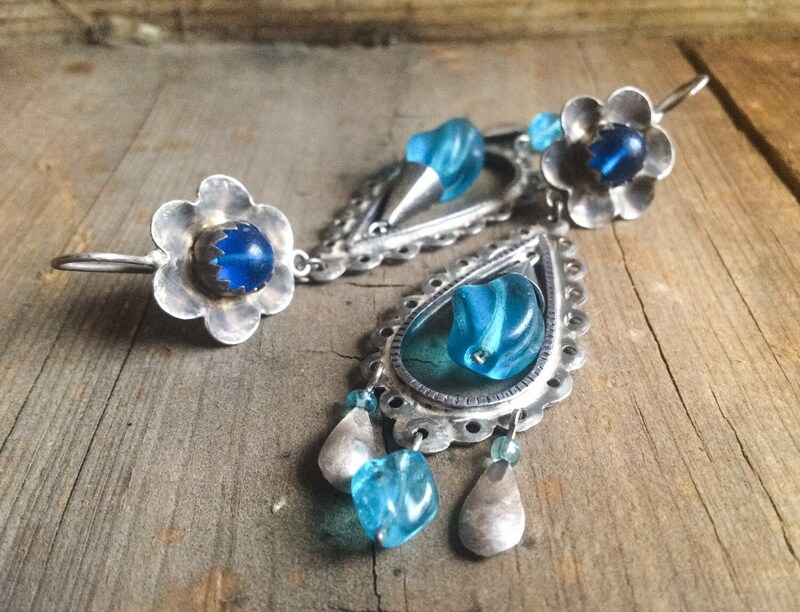 The glass beads are clouded from age yet vibrant still. 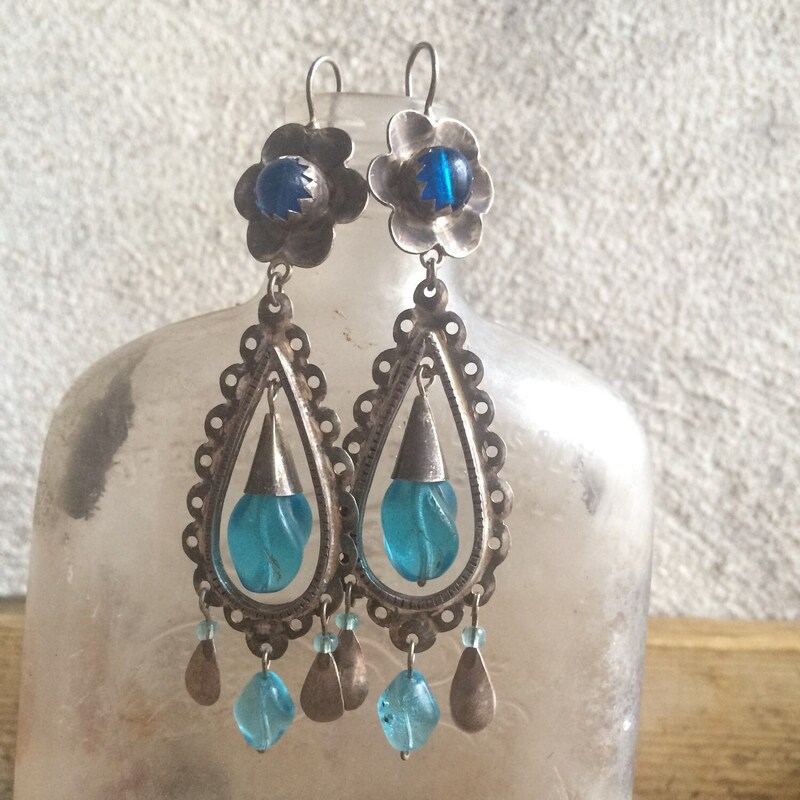 The glass beads in the center of the flowers are darker than those that hang within the teardrop and at the bottom. The turquoise color of the glass is fabulous and goes with so many looks and other colors--lime green, purple, pink, black, brown, orange. A shade that brings out the best in dark and light skin tones alike. These earrings are large--they measure over 3-1/4" long not including the hook, and about 1" across at the widest point. The handmade hook is quite thick, fitting snugly on a regular pierced ear. So if you have a small gauge, the earrings might also work well. 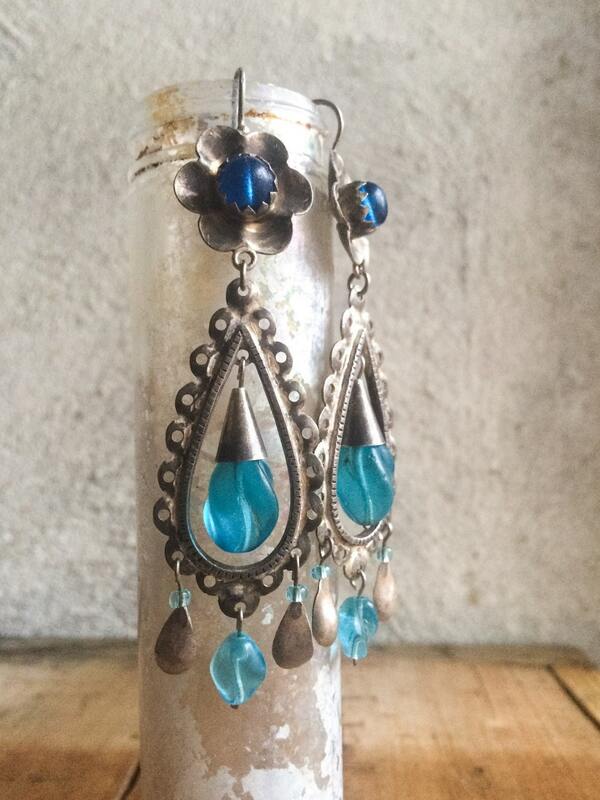 Beautiful earrings with gorgeous blue / turquoise blue glass and a vibrant Frida look.